Casa Perleta is a beautiful boutique hotel of the classic Andulusan Architecture of the area. Each of the 8 rooms are beautifully decorated with touches of local art and tapestries. 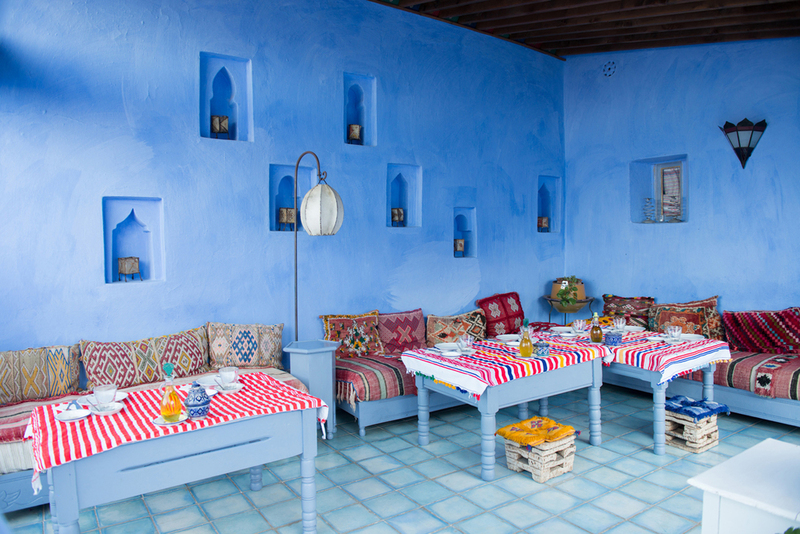 There is a stunning rooftop restaurant to enjoy a leisurely breakfast of fresh breads, homemade jams, fruit and mint tea. There is also a beautiful courtyard downstairs to enjoy some afternoon mint tea and catch up on some reading. There's nothing better than enjoying breakfast on the rooftop listening to the city wake up. Casa Perleta is situated near of the main entrances to the city. The hotel is about 100m up the steep, narrow street. 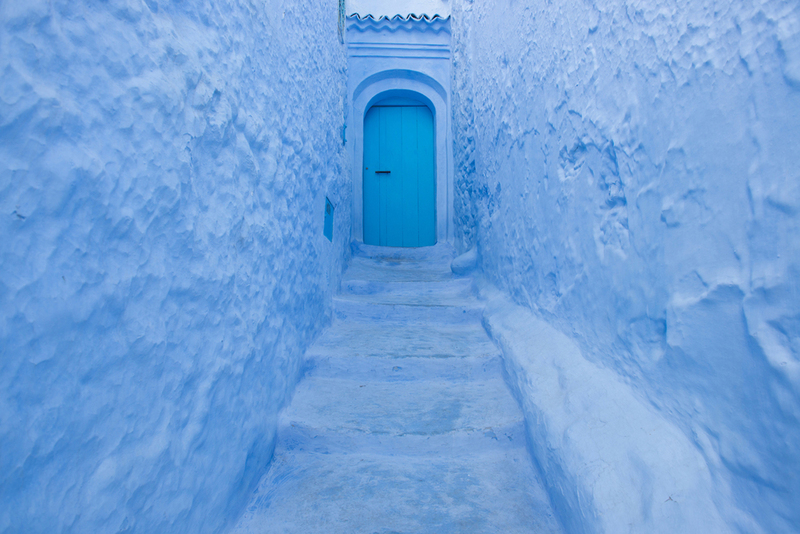 Chefchaouen is a special city in Morocco. 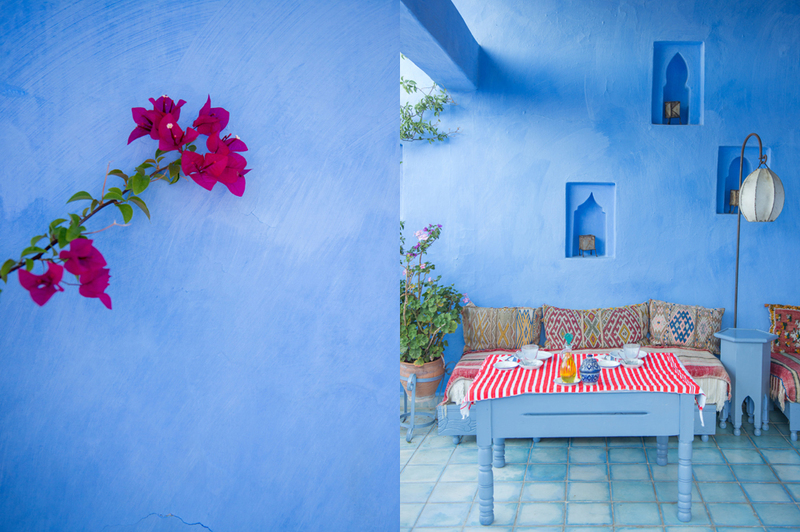 The various hues of blue make for an incredible palette. 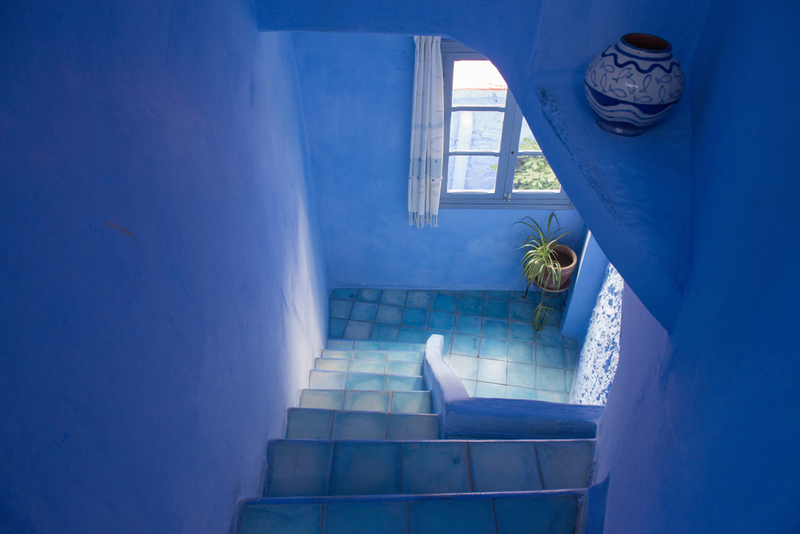 Although it has changed little since it first opened its doors to foreigners in 1920 (over 400 years after it was first founded in 1471), Chefchaouen has accommodated for the thousands of tourists that swarm its narrow stone streets with a plethora of restaurants (all with the same 10 items on the menu) and shops brimming with silver trinkets, woven rugs and wool clothing. Rooms start at $75 USD, Entire House $625 (sleeps 20). Breakfast included. Avoid the rooms on the first floor, they are quite noisy and a bit damp as a result of the hotel being built into the side of a mountain. You might find that many of the locals don't like their photo to be taken. Be respectful with your cameras. 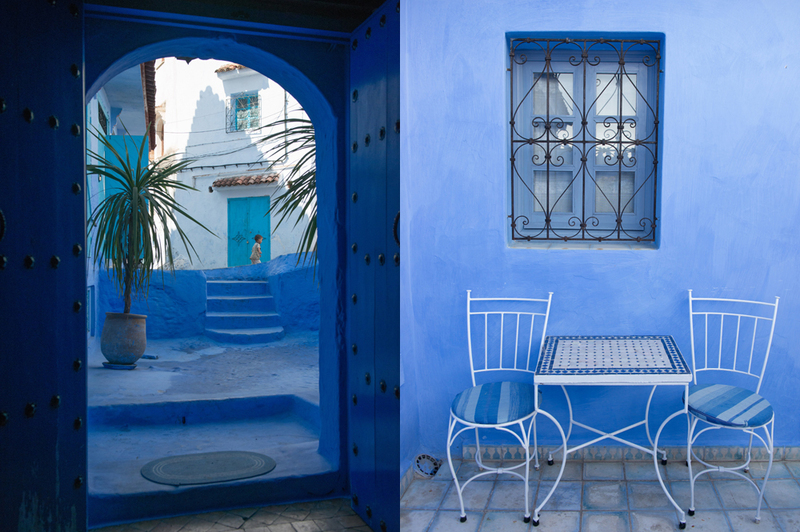 Just step outside and start walking the beautiful blue city. Surprises lay round each corner. Eating in one of the restaurants in the main square at the bottom will allow you to take in some local culture.